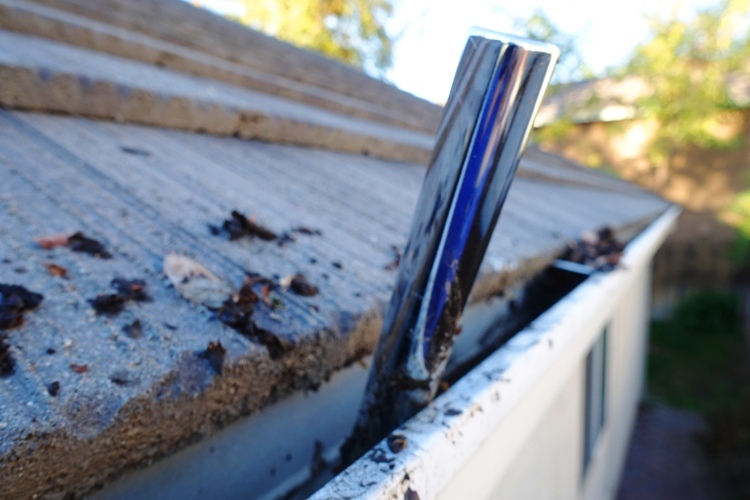 Yesterday I cleaned my gutters. This is definitely a job that I don’t like doing as it is dirty and also high off the ground. It was time to get out the ladder and get busy, especially as during the rain last week the gutters were overflowing and spilling water at the wrong places. It is amazing how many leaves can collect in the gutters. Well, not too surprising as there is a tree that drops them right in the gutter on one side of the house. The other side of the house has no tree to drop the leaves, but they still fill up. I have a metal pipe that I use to push the leaves down the gutter and fling them out onto the ground. I have in my mind a design of what would work much better, but haven’t really seen what I think would work at the hardware store. 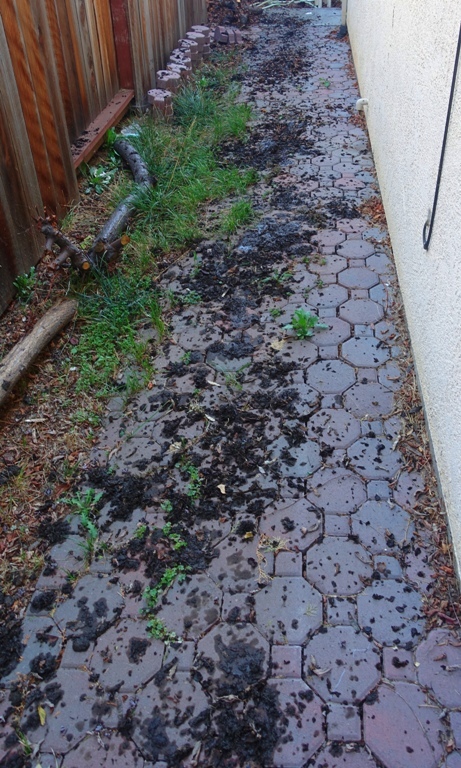 Here you see the gutter leavings on my walkway. I am going to let the rains this week wash the sidewalk clean. Of course, I may still have to go out and sweep, but I need to let them dry first. They are hard to move when wet. 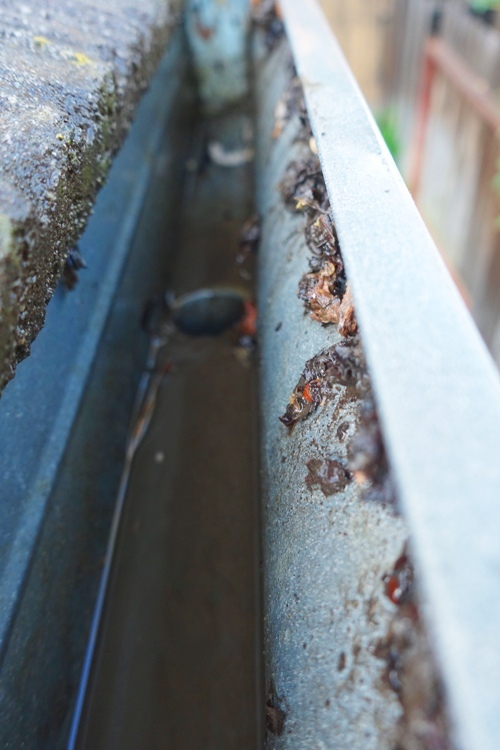 Here you can see that the gutter is much cleaner. On the lower side of the roof which was close to water I washed out the gutter. The higher up ones on the other side of the house should be OK as I removed all the big debris. I will just have to see how they perform in the rain. 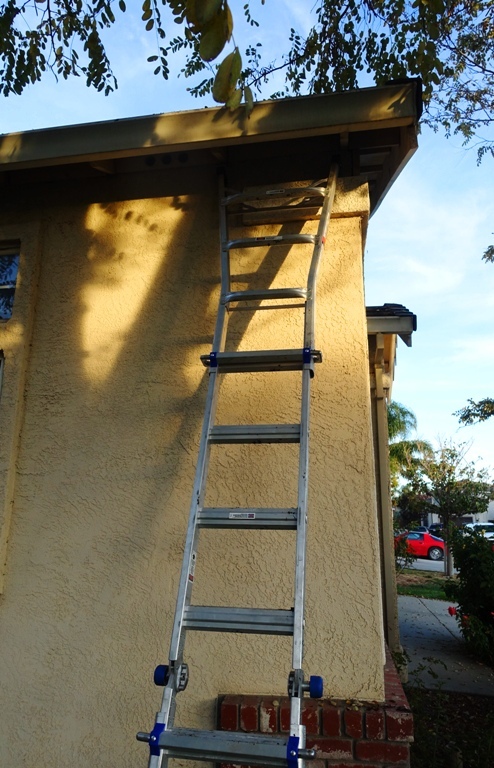 There is one gutter that I can’t get to as there is not enough room between the house and fence for the ladder. I would have to climb on the roof to get to it. Luckily it is only a few feet long and not many leaves get into it. 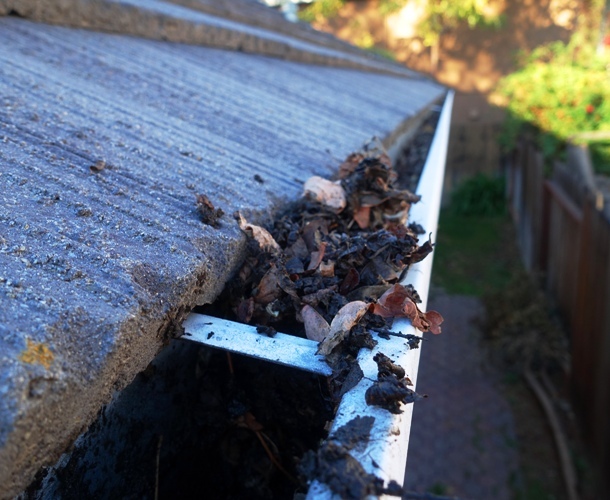 Maybe next year I will hire someone to clean my gutters. This entry was posted in Culture, Nature, Yard Work and tagged cleaning gutters, debris, dirty work, gutters, ladder, leaves, roof. Bookmark the permalink.